We have recently recently solved an ongoing and expensive problem for one of our clients in the shopping centre sector. 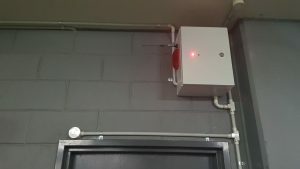 This Centre had issues with undesirable persons accessing the carpark firestairs 24/7 who were performing illegal acts, damaging the stairs creating costly repairs and cleaning bills. In addition creating a huge issue with the fire dep, setting off the fire system, alerting the local department requiring up to 2 false attendances per month. As you know this costs $1500 per visit. After H3C Plus worked closely with our client we deployed a fire stair alarm project across the carpark with 6 Stairs including 30 Doors. 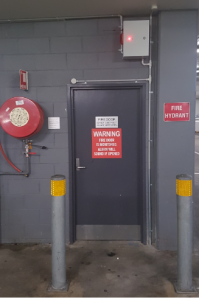 We implemented this system back in February on site in western Sydney, since then there have been NO false fire alarms meaning the client has already saved $6,000 from Fire department attendance. They are very happy with the system, security are called to a stair almost every day and 9/10 times they find someone that should not be in there, they get warned and told to walk on, the stairs are cleaner and have almost no damage. Do you have this problem in your site or an issue just as frustrating? We can provide custom solutions for any site, that’s what we do as solutions providers and makes us different .